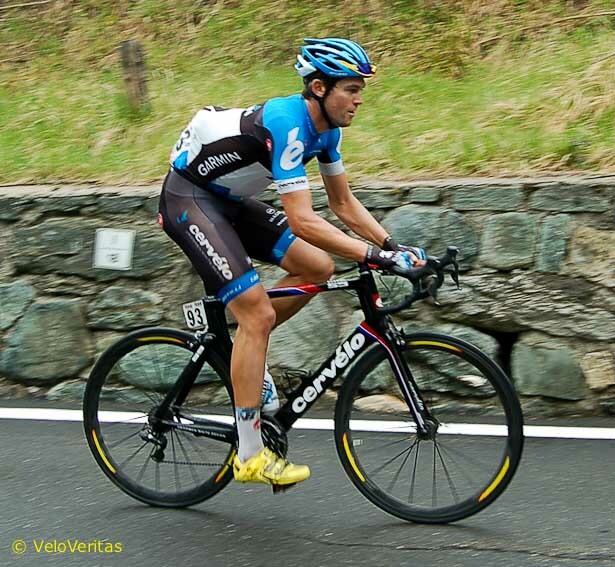 We thought it was the end for Cav, yesterday. 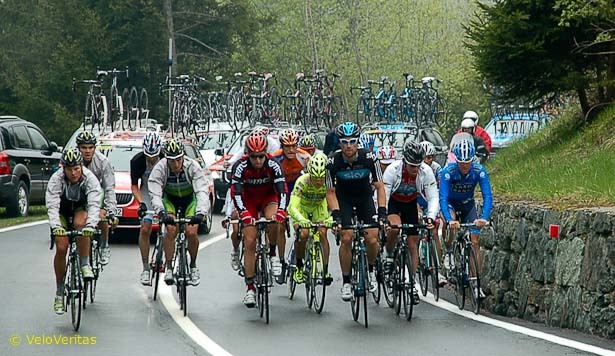 The gruppetto was way down on the first of the two big climbs of the day – but Cav was even further back. Cav has Bernie for company as usual. And behind him, in a dreadful state, was Graeme Brown. 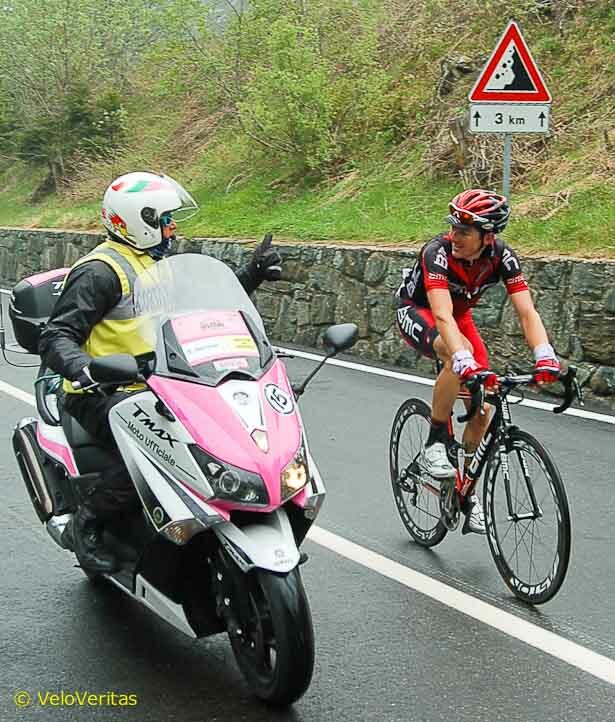 The Gazzetta gives Cav 8/10 for his efforts on the day, they’re impressed by his resistance. More than can be said for their view on Goss, Renshaw and Haedo, all of whom bolted after stage 13. At the start the riders all looked like film stars, on the col, they looked like tired, grey old men. 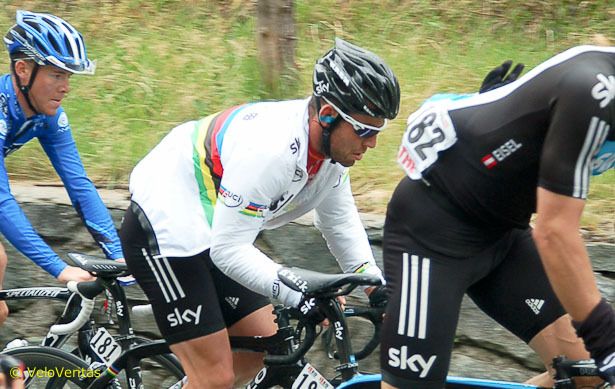 Jack Bauer looked dazed, Ian Stannard like a ghost. Jack, like the rest of the race, is feeling the effects of nearly two weeks without a rest day. We may be wrong, but it looks very much to us like the DS’s spoke to each other and had the first group ease up and wait on the second one, on the ‘safety in numbers’ principle. 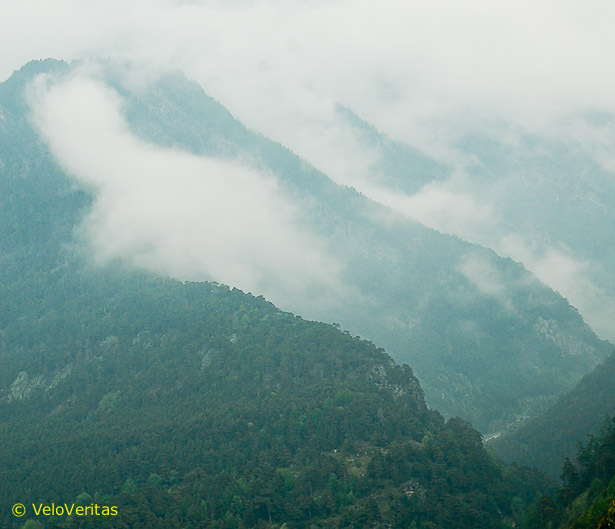 You forget just how savage the Alpine climbs are. 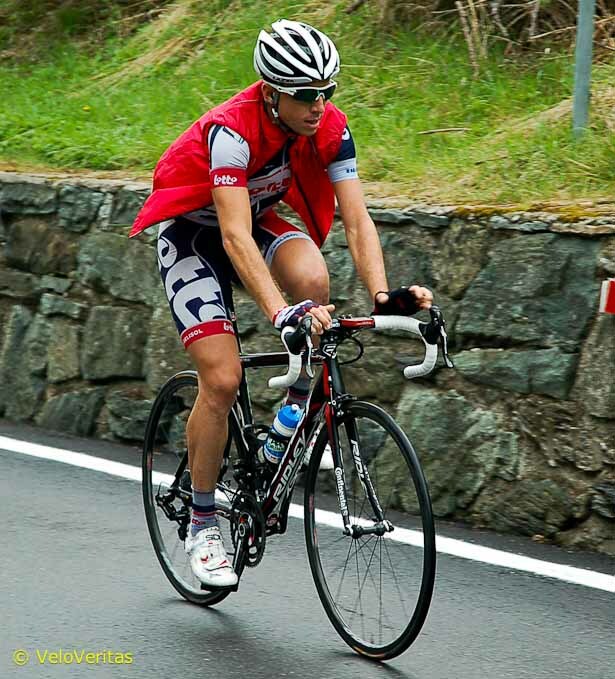 The Col de Joux is steep from the first metre and goes on for 22 kilometres with little respite. We didn’t go to the finish climb to Cervinia. The road is a dead end and getting off those hills is a nightmare with the crowds and Giro evacuation. It also means you have to use the press room at the top, which is expensive, and hard on the head. 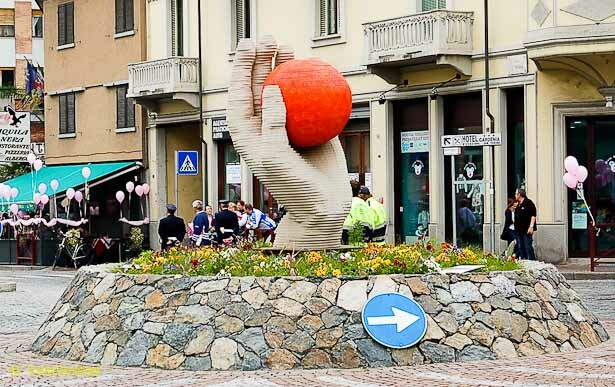 The photo ops weren’t too hot on the way to the mountains – the route was largely urban with long, straights interspersed with tricky roundabouts and junctions. There are glimpses of the unusual to be seen. The view of Italy we present here is a heavily filtered one – many, many italian towns all look the same. 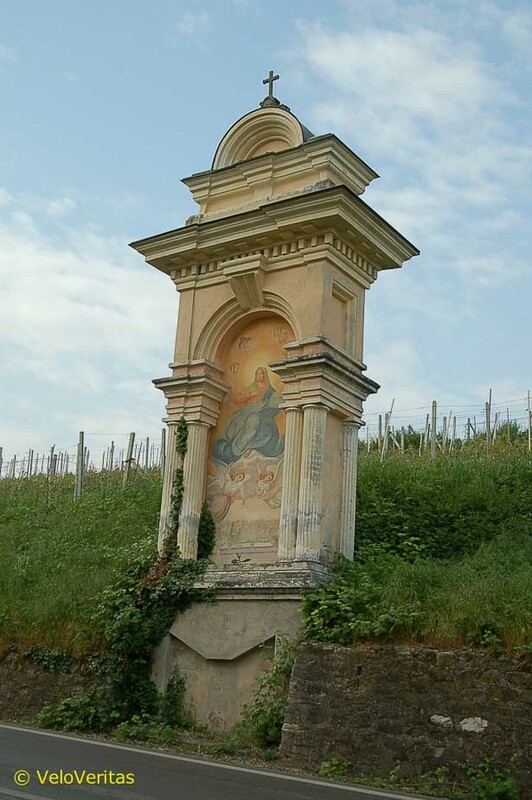 For every quiet historic, picturesque Italian idyll, there are twenty bland, post war, concrete nonentities. Still, the good bits make you forget about the rest. 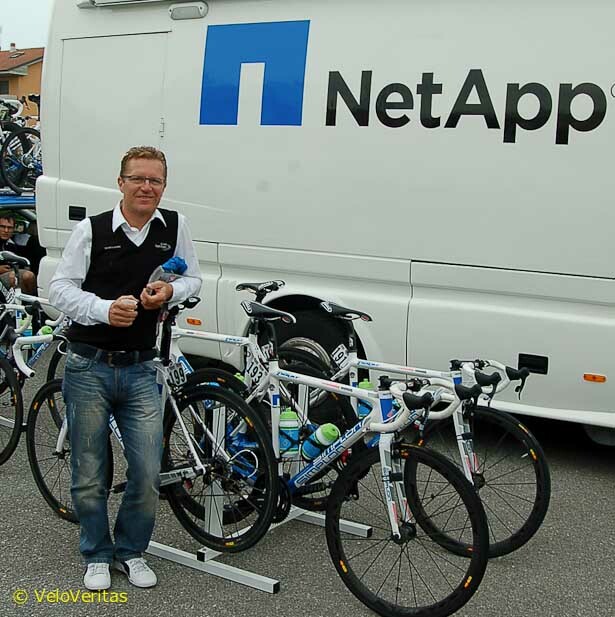 NetApp have impressed, this Giro. 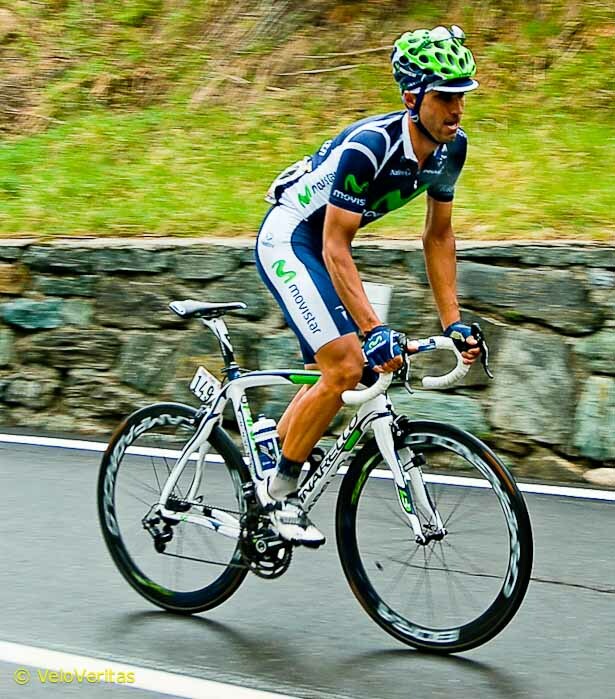 They had Huzarski second in to Assisi; and yesterday, Barta rode himself into the ground and took second behind Amador. We spoke to Jens Heppner before the start, it’s obvious he’s not used to media attention and was surprised when we asked to take his picture. Jens Heppner was surprised to be interviewed. 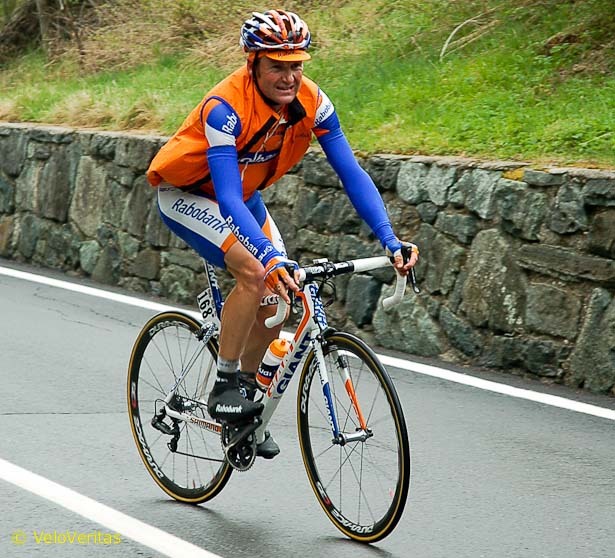 NetApp and Androni are both Pro Continental teams, but have shown the way to the likes of Rabobank and The Shack who have singularly failed to sparkle. 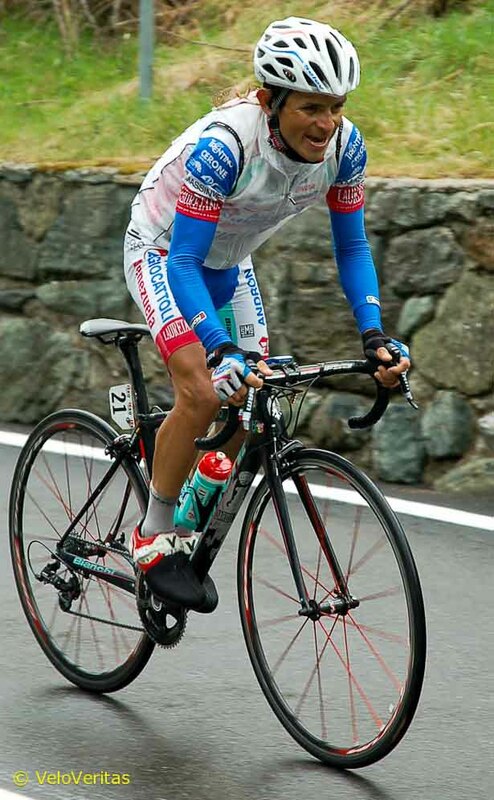 Androni have taken two stages and were on the podium again, yesterday. 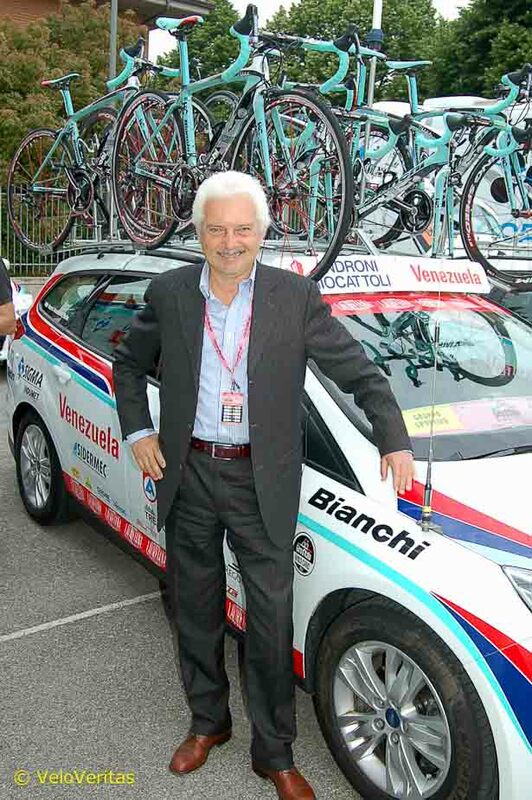 We spoke to Gianni Savio, their DS, yesterday – he’s always good for a quote and when he says that teams must ‘honour the pink race,’ it’s not just a line of flannel. It’s our last day on the race today, it’s hard not to be sad. 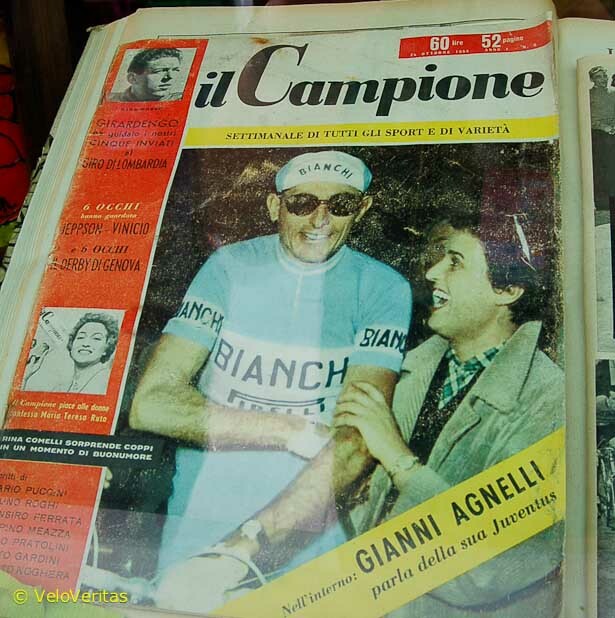 Still, I suppose there’s a certain something about walking up the Royal Mile in Edinburgh to try and find a Gazzetta in the International Newsagents, fitting in glimpses of Eurosport, getting the calls from Vik and the emails from RCS. YMCA blasts, the girls dance, the Haribo alligator smiles and the old clock tower looks out over the noise, colour and an organisation which seems always to teeter on the edge of chaos. 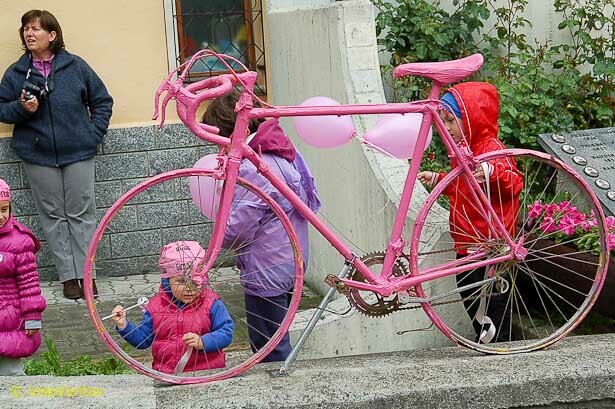 The Giro hits Cherasco. 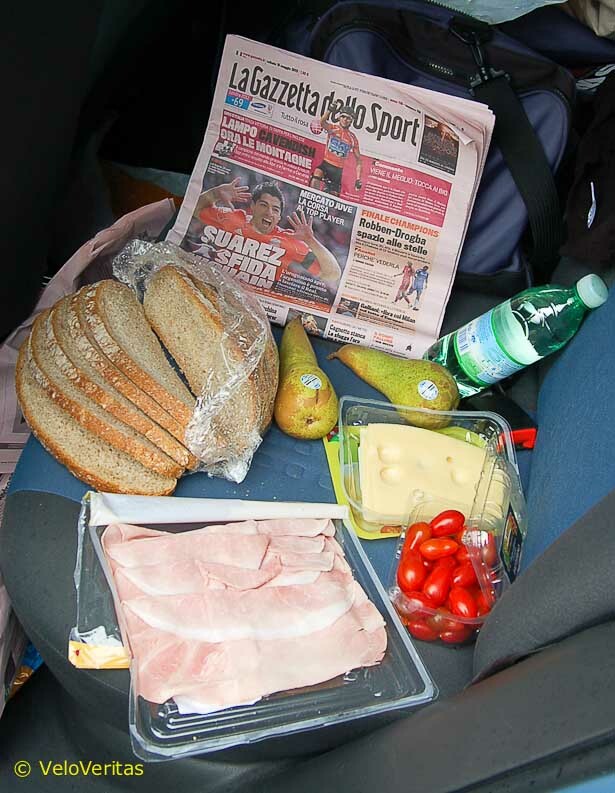 But for the minute, we’re on the autostrada, Dave has the ‘bus parking’ for the day programmed into the satnav – Busto Arsizio, here we come ! 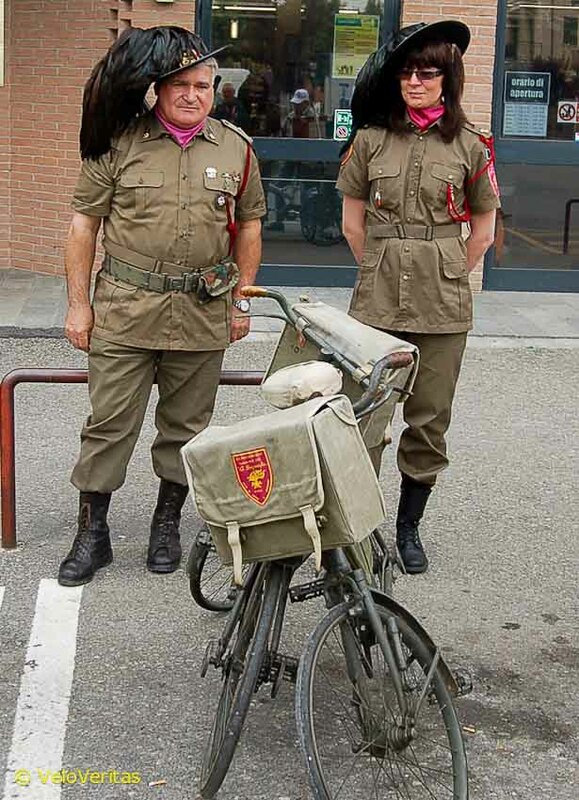 Il Giro, we salute you! Jack getting the hills over with. YMCA blasts, the girls dance, the Haribo alligator smiles. The view from bed and breakfast in Dogliani last night was stunning. Ed’s favourite mascot, the Skoda Yeti. 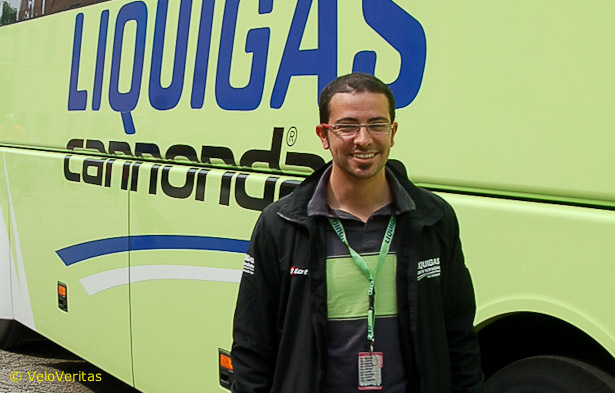 We caught up with Liquigas press officer, Paolo Barbiere. Some very extravagant dress uniforms. 25 years of, well, we’re not sure. 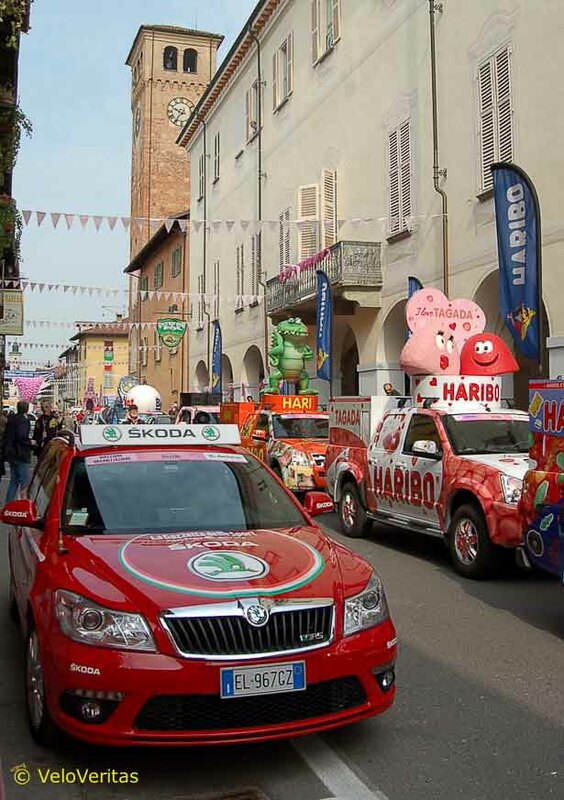 The towns really celebrate the race visiting. Now that’s an old magazine. 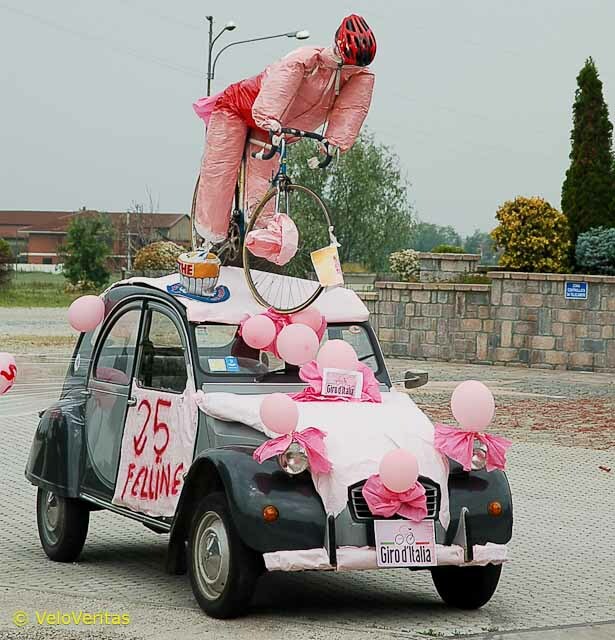 Another celebration of The Pink. There ain’t many tifosi up here. Montaguti, De Negri, Amador and De Marchi. It’s three minutes and more back to the other break survivors, Maes, Kaisen and Oliveira. Rujano, with Cunego in hot pursuit dances past us. 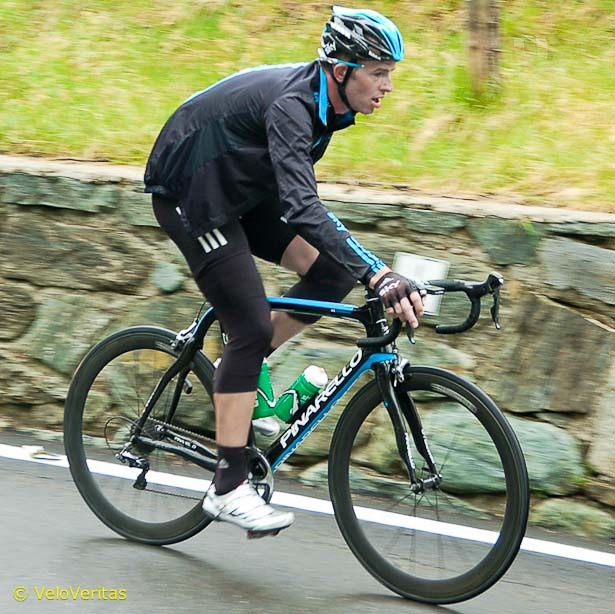 Ventoso is just behind, so too is Kennaugh. Mathias Frank gets a little encouragement from one of the marshals. 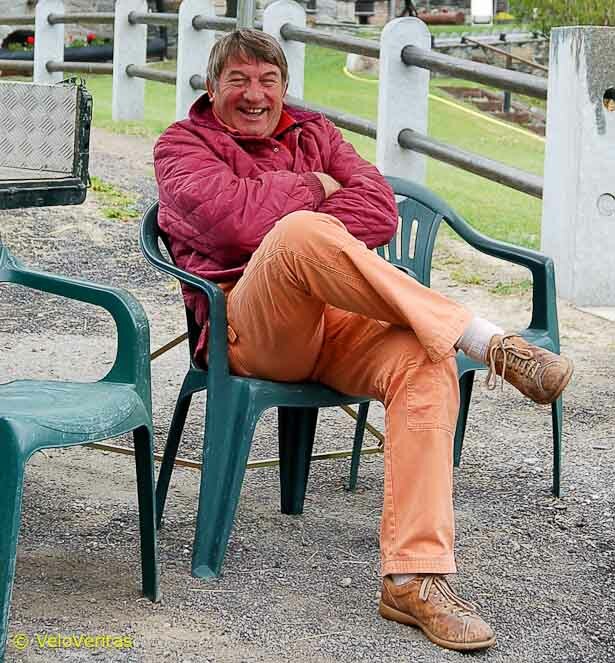 Stone last on the road is Lotto’s Gaetan Bille. 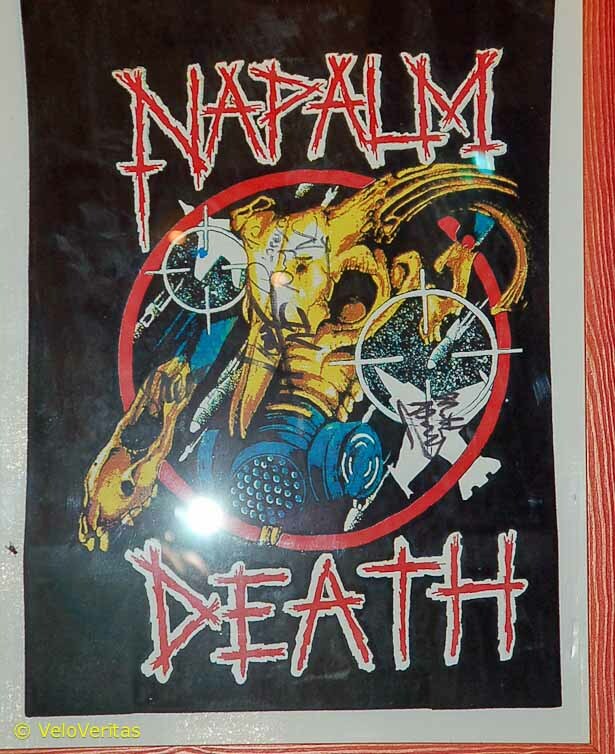 It took us while to get off the hill and find a bar; the owner is a Napalm Death fan – always a good sign. 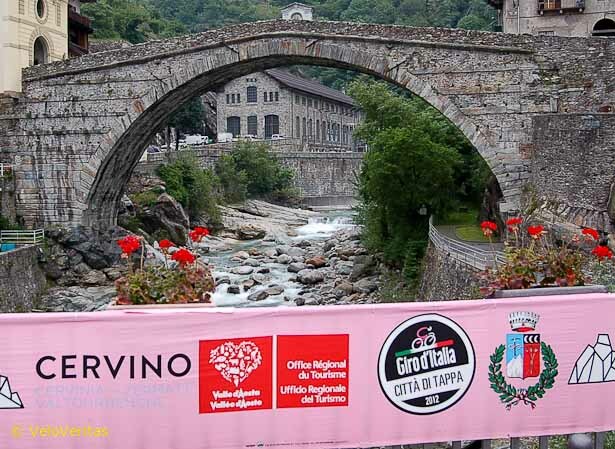 Previous articleGiro d’Italia 2012 – Stage 13: Savona – Cervere 121km. 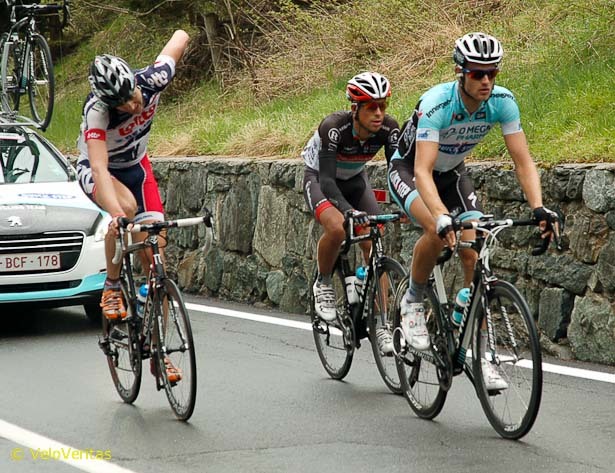 Cav, What a Sprinter!